#16 Ready to Have Your Eyes Opened? That “old self” has no redeeming quality, nothing good in it. Its futility and wickedness is total. We want to keep a portion of self as valid. It takes a long time to utterly despair over our sinful self. Hope for improvement dies hard. We keep trying to change the unchangeable old self. Or we control it. Or we hide it. Or we lie to ourselves about it. And this is the worst solution: we justify it. We convince ourselves that we are right, and we have the right. And we are all right. “For what I am doing, I do not understand; for I am not practicing what I would like to do, but I am doing the very thing I hate” (vs 15, NASB). 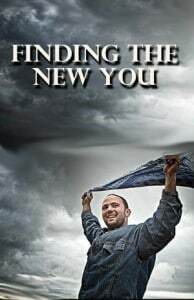 Finding the New You Is an Adventure #42 Pleasing to God #41 Eternal Value #40 Deny Self for Christ #39 The Self-focused Self #38 Desire is the Power to Follow #37 Only Love Will Truly Follow #36 Who Will Follow Christ? #35 The 'IF' of Following #34 Jesus Said, Deny Self #33 The Fact of Having Died in Christ #32 The Fact of Salvation #31 Cemented Sin, A Garment Only #30 One Problem, Not Many #29 Free of the Incessant Sin #28 The Perfecting of the Saints #27 The Fullness of Christ #26 Belong is the Word #25 That I May Gain Christ #24 Put on Fully the Glorious Christ #23 The Good Self Must Go #22 Possessed by Christ #21 The Victim Mentality Is Satan's Deception #20 Losing Our Soul-life #19 Whoever Loses Their Life for Him #18 The Spirit of Your Mind #17 What is the Lord's Joy?